QB Aaron Rodgers took all the snaps in Thursday’s practice after getting very limited work on Wednesday due to a calf injury. With Thursday’s practice in pads, Rodgers’ making it all the way through is a strong indication he’ll be fine come Sunday in St. Louis. NT B.J. 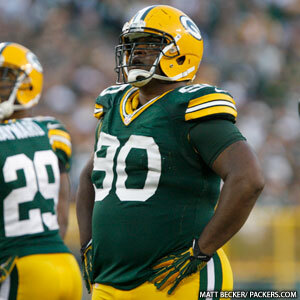 Raji also returned to practice for the first time in two weeks, but on a limited basis. Raji missed last week’s game with an ankle injury, but McCarthy was encouraged by what he saw from Raji on Thursday. The only other change to the injury report from Wednesday was that TE D.J. Williams (hamstring) was a full participant in practice. He missed last Sunday’s Houston game but appears well on the comeback trail. Meanwhile, fellow TE Andrew Quarless practiced for just the second time this season, having come off the PUP list on Wednesday. Quarless said the medical staff is easing him back into practice with a limited number of reps, but he’s felt no discomfort or setbacks after his first two days. Quarless had been out since tearing the ACL in his knee in Week 13 last season against the Giants. He said the long, arduous process of rehab gave him an appreciation for all the players he’s seen previously who missed long stretches due to injuries.